Focusing on important information literacy debates, this new book with contributions from many of the main experts in the field highlights important ideas and practical considerations. 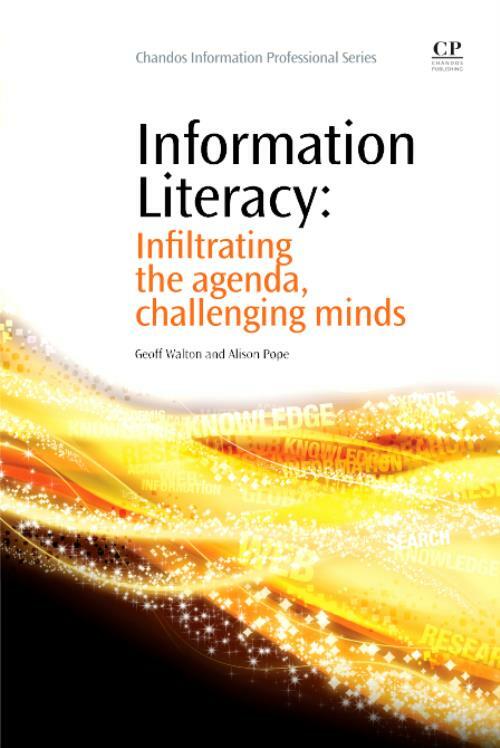 Information Literacy takes the reader on a journey across the contemporary information landscape, guided by academics and practitioners who are experts in navigating this ever-changing terrain. Our call to arms . Information literacy in the workplace and employability defined? A politically aware information literacy education? What makes the Internet such a radical and disruptive technology for education? Walton, GeoffGeoff Walton is a Subject and Learning Support Librarian and Research Informed teaching (RiT) Project Co-ordinator at Staffordshire University, with specific subject responsibilities for Psychology and Sport & Exercise Science. As RiT Co-ordinator Geoff is involved in identifying synergies between research, teaching, learning, information literacy, e-learning and inquiry-based learning. He is particularly interested in the cognitive processes involved in becoming information literate. His research interests also include developing the online information literacy tool the Assignment Survival Kit (ASK), developing a process for online peer assessment, investigating academic skills needs in undergraduate students and using inquiry-based methods to facilitate learning. Pope, AlisonAlison Pope was a Learning and Teaching Fellow at Staffordshire University from 2005 to 2009. Her research in this period focused on the importance of adopting a strategic approach to information literacy in the HE context. She especially focused on the need to embed information literacy within the curriculum. Alison has spoken at many high profile conferences on this topic and has also published widely. She is Senior Subject and Learning Support Librarian at Staffordshire University with specific responsibility for the Schools of Law and Business. Alison leads the team at Staffordshire responsible for the development of the Assignment Survival Kit (ASK) and is currently engaged in empirical research to develop further the ASK software in a Web 2.0 environment.